Rooftop bars were once a rarity in Berlin, the home of beer gardens. But these days, they're on the rise - literally! 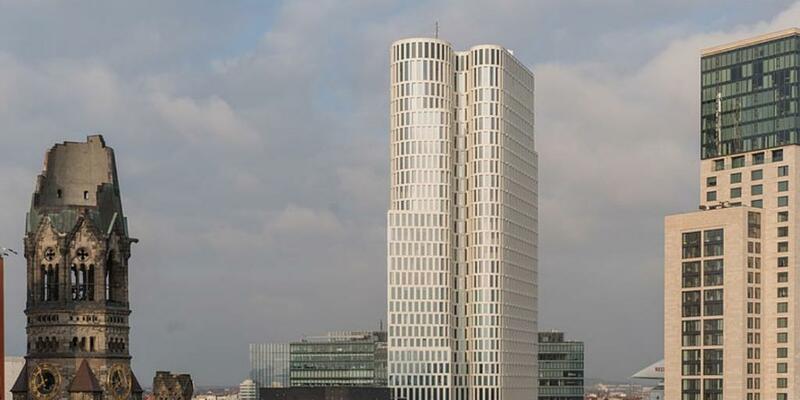 If you're heading to Berlin for a city break or extended holiday, be sure to check out some of these bars with amazing settings and panoramic views over the city. Whether you're after a casual vibe or a more fancy affair, there's something for everyone in Germany's vibrant capital city. 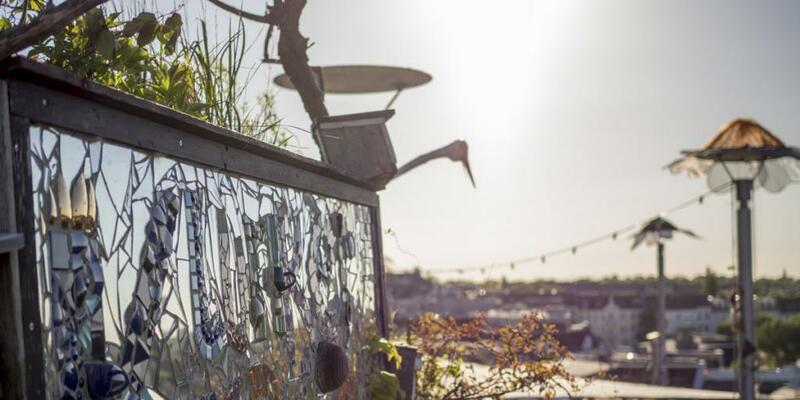 Situated at the top of the Neukölln Arcaden shopping center, Klunkerkranich beer garden is one of the best rooftop bars in Berlin. Don't be discouraged by the somewhat drab look of the mall; once you take the lift and step out on the top floor of the building, you're greeted by a charming wooden terrace decorated with fairy lights, colourful flower boxes and welcoming picnic tables. On a sunny summer day, there's no better place to be. It's also family-friendly, with a toy-filled sand pits for the kids to play in. The best part, though, is the sensational view of Berlin's red roofs and the iconic TV tower in the distance. Couple that with the relaxed atmosphere and you'll be tempted to stay all night. Along with local German beers, Klunkerkranich also serves up some tasty cocktails with funky music playing in the background. For a fun and budget-friendly spot, head to Wombat's City Hostel on Alte Schönhauser Str, just steps from the Rosa-Luxemburg-Platz U-Bahn stop. The rooftop bar is low-key, but you can expect great views, reasonable prices and a chilled-out setting. What more could you want? There's occasional live music here, but overall the vibe is relaxed - so if you're looking for a rooftop escape from the hubbub of the city, Wombats is your best bet. 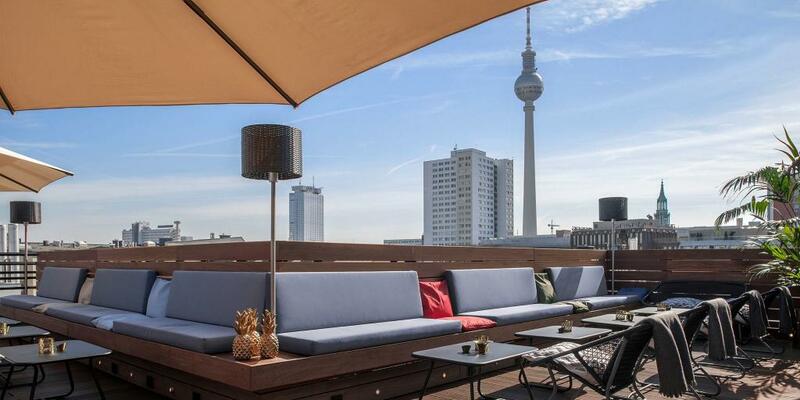 A summer trip to Berlin isn't complete without an evening at Deck5, the city's own rooftop beach. This atmospheric bar on the seventh floor of the Schönhauser Allee Arcaden has cocktails, beers and a daily BBQ to get you into the spirit of summer. You'll feel like you've landed on a tropical island as you sip your drink while relaxing on a deck chair or covered cabana perched on the sand, with palm trees and Buddha statues all around you. Deck5 is a bit tricky to get to, which makes it all the more appealing. The best way to access the bar is by going into the back of the shopping centre and turning left before the post office. Take the lift up to the fifth floor from there. Sleek and modern design characterises Monkey Bar, one of the top nightlife spots in Berlin. Situated on the tenth floor of the 25 Hours boutique hotel, this loungey rooftop oasis has standout views of the Berlin Zoo and the whole city - especially at night, as the sky darkens and the buildings light up. Stay protected from the elements behind shiny glass windows, or enjoy the fresh air from the cosy terrace. Come early to enjoy one of Monkey Bar's superb cocktails before it gets too crowded. Fun music and friendly staff add to the place's appeal. No wonder it's such a popular choice for locals and visitors alike! 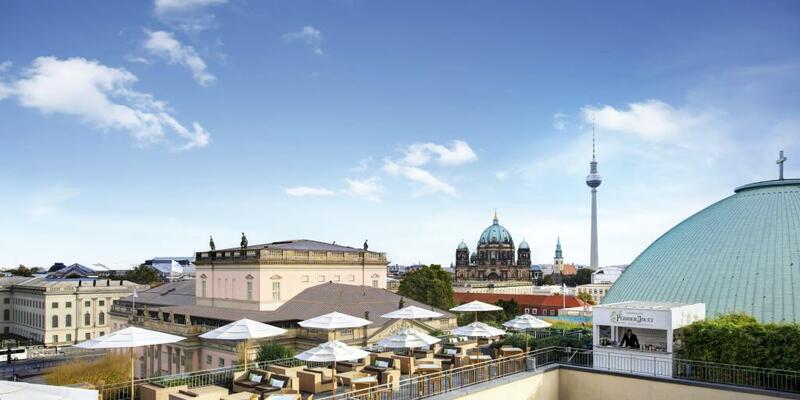 It's no surprise that this swanky spot just minutes from Museum Island is part of a five-star Rocco Forte hotel. Hotel de Rome's gorgeous rooftop terrace is decorated with stylish sofas and pristine white umbrellas to protect from the summer sun. In the wintertime, lanterns and torches transform the bar into a cosy escape, while a menu featuring mulled wine and hearty German food provides further respite. Hotel de Rome is situated on Bebelplatz, with the rooftop bar overlooking Berlin Cathedral, the State Opera and stunning views of the city. It's pricier than our other options, but the costs are justified by the stellar service and a top-notch atmosphere. Hotel de Rome also serves up delicious dishes like healthy bento boxes and warm sandwiches. Located in the central Mitte neighbourhood, Hotel Amano's rooftop bar offers an oasis in the middle of the bustling city. There's nothing better than watching the sun set over Berlin as you lounge on the terrace with a cocktail in hand. Compared to some of the other bars with a view, Amano is small and intimate, with a relaxed and casual atmosphere. Nestled at the top of Hotel Zoe in Berlin's lively Hackescher Markt area is one of the most stylish and hidden-away rooftop bars in the city. Also part of the high-end Amano group, the Hotel ZOE Rooftop describes itself as “a mix of a stylish country club and an urban beach club with no need for the beach or the sea.” They also have a first-rate dedicated gin & tonic bar - the first of its kind in Germany. On the tenth floor of this funky movie-themed hotel you'll find one of Berlin's newest rooftop bars. Chilled out and unpretentious are the words to describe One Lounge, which serves up a wide variety of gin and tonics as well as beer, wine and other cocktails. The best part of this spot, though, is undoubtedly the incredible view it provides over Tiergarten, the Memorial Church and the zoo. Old cameras and film rolls are scattered around the space and classic films are shown in the bar, giving One Lounge a distinctive old Hollywood feel. Last but not least is the seventh-floor dreamscape that is Hotel Zoo's terrace bar: GRACE Rooftop. Ultra-modern decor and a lush wall garden give this place a glamorous New York townhouse feel. The views are phenomenal (it's a stone's throw away from the Berlin zoo, hence the name!) and the teakwood loungers covered in plush cushions couldn't be more inviting. Plus, an open fireplace keeps the GRACE terrace cosy on chilly evenings. Enjoy currywurst and cocktails as you admire the 270-degree view of Berlin from the comfort of this irresistible lounge. On Fridays and Saturdays, DJs play lounge music to ease you into your weekend.